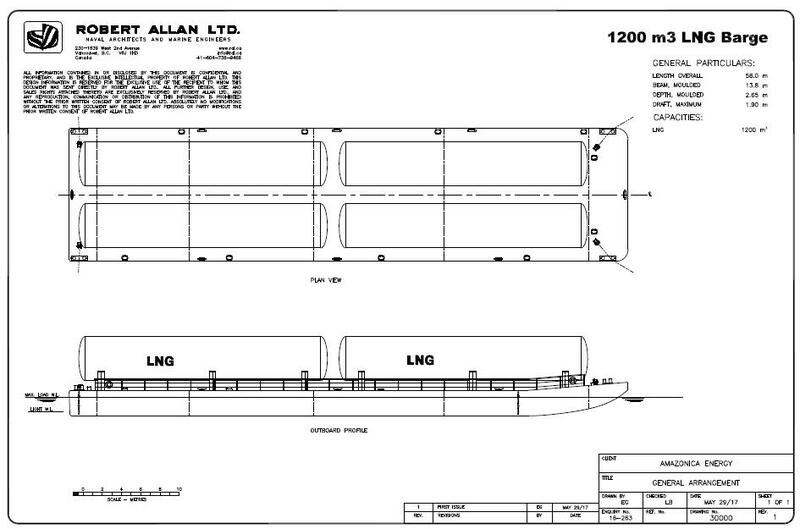 A logistic project for the transportation and distribution of liquefied natural gas (LNG) in the northern region provides for the construction of 20 barges and five or six pushers. According to the idealizers is the first time that will be built in Brazil ferries of this type moved to LNG. 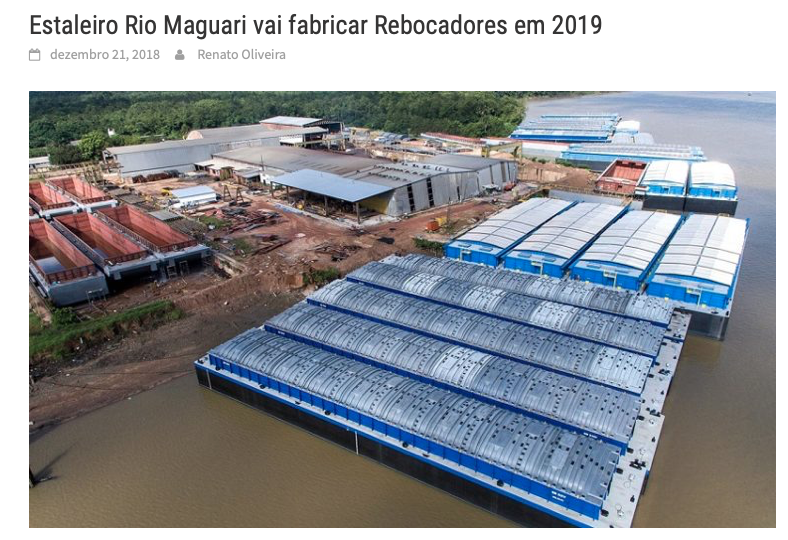 The goal is to build the units from 2020 at the Rio Maguari Shipyard (PA). The first phase of the project, starting in 2021, will move three million cubic meters of gas per day, leaving a floating storage unit (FSU) in Itacoatiara (AM). Of this volume, two million m³ will be taken by trains to Porto Velho (RO), via Madeira River, and one million m³ will be transported to Roraima. Each of these pushers will have power of approximately 4,200 HPs and each ferry will carry 1,200 m³ of gas. “For the first time in Brazil will be built gas barges and fluvial pushers, which will also burn LNG. 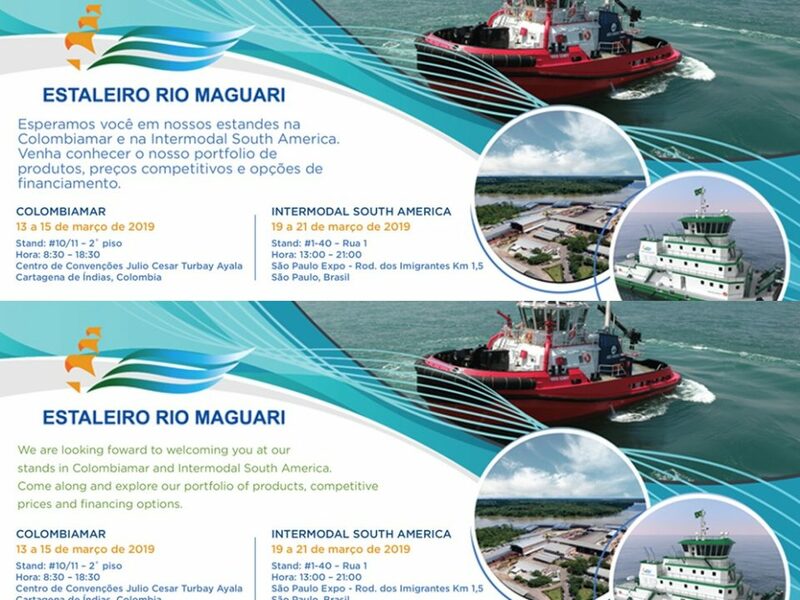 It is unprecedented for shipbuilding in Brazil, “said Ronaldo Melendez, executive vice president and chief operating officer of Amazonica Energy. 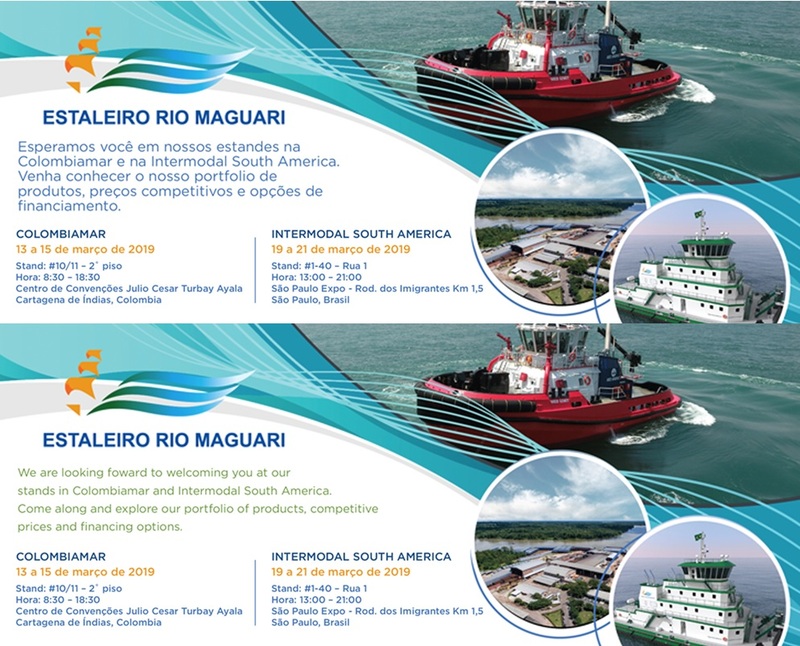 For the second stage, the company intends to install another FSU in the Marajó Island Basin (PA), with another 20 to 25 ferries and about 10 fluvial pushers. The investment forecast is in the order of US $ 600 million, with US $ 300 million destined to phase 1 fluvial assets. 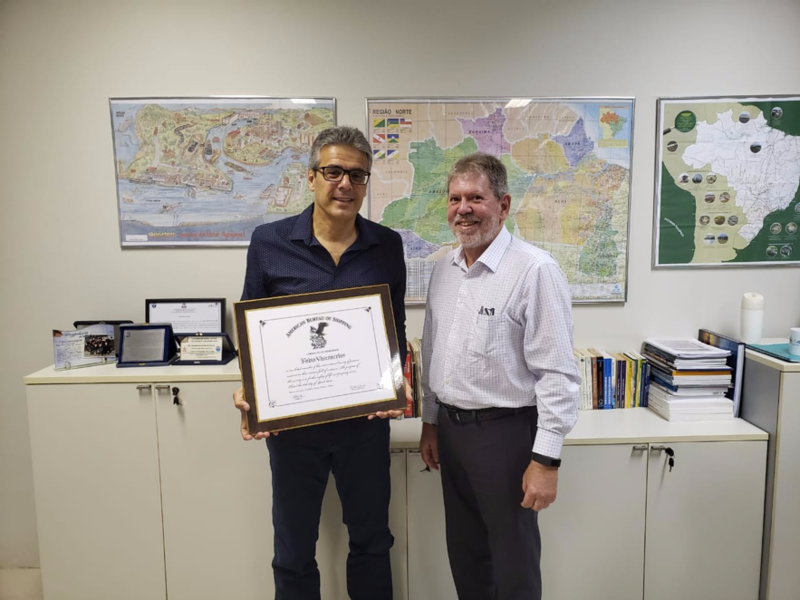 The partnership was signed by Amazonica Energy, created at the end of 2016, with Canadian designer Robert Allan, Estaleiro Rio Maguari (ERM), MTU (gas engine systems) and Rolls-Royce (propulsion systems) these two belonging to the same group. The company is also in the closing stages with a shipping company from the Amazon region, to be defined soon and join the project. The president of the Amazonica, Marcelo Araújo, says that the project has been designed since 2014, with technical studies, infrastructure and hydrology, challenges for gas delivery in the region, as well as regulatory, tax and environmental issues. The objective is to obtain financing between 80% and 85% of the project via the Merchant Marine Fund (FMM). Members intend to submit it to the 41st MMF board meeting scheduled for July 4. The remainder will come from private equity of the special purpose company (SPE), which will be formed by strategic partners and Brazilian and foreign financial institutions willing to finance the project and offer guarantees. The initial forecast is of R$ 20 million in investments in 2019, mainly for engineering studies. In addition to Araújo, who is an electrical engineer and a consultant to Petrobras, and Melendez, a mechanical engineer and former director of Rolls-Royce, Amazonica has as its partner the civil engineer Lívio Assis, a former director of Celpa. LNG is an alternative to diesel, the predominant fuel in the North, which also serves as a substitute for coke, wood and coal. The entrepreneurs identified gas demands for electricity generation in isolated systems of electric power generation, in agrobusiness, mining, and in industrial activities such as fertilizers and ceramics. The gas can serve the eastern Amazon, the central region and the extreme west of the region. Amazonica is authorized by the National Agency for Petroleum, Natural Gas and Biofuels (ANP) to commercialize natural gas in Brazil. The natural gas will be imported and brought by gas ships, probably from the Gulf of Mexico, to the North, where they will be distributed through the barges. According to this business model, the tendency is for large industrial customers to regasify their own facilities. For small and medium-sized customers, Amazonica will offer modular regasification technology through a partner. Melendez points out that the system is simple operation and maintenance and adds that this type of technology is already a reality in Asia and in countries such as Germany and the United States. He adds that the difference for construction basically will be the powertrain, since the vessel needs a gas tank to store the fuel. Some of the barges are being designed to carry tank keepers on their main deck, which consist of 40-foot containers with cryogenic tank inside. The barges will be configured considering the storage capacity of the units and the drainage of the rivers, since there are stretches that can reach depths between three and four meters in the low season. “Our reference drawings are being made for shallow draft navigation to serve the most remote areas,” says Araújo.